Two principal ballerinas of the Semperoper Ballet gave farewell performances at Easter: Natalia Sologub and Yumiko Takeshima. I watched Takeshima’s goodbye in the title role of a “Giselle” production which David Dawson had staged for her in 2008. Sologub’s last appearance had been a few days earlier, and in the same role. To come straight to the point, Takeshima’s farewell was altogether well-rounded. Dawson’s “Giselle” belongs to the present. Fresh and light footed at first glance, the emotions and the resulting tragedy are, in fact, clear cut and powerful. 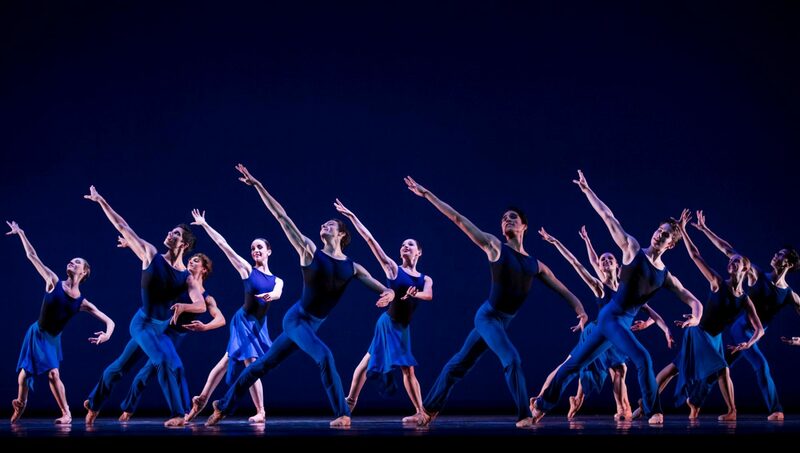 This year Hamburg Ballet broke with its (almost) usual practice of performing John Neumeier’s “Saint Matthew Passion”. Instead, the company revived Neumeier’s “Messiah”, a 1999 work to George Frideric Handel’s eponymous oratorio. For Neumeier, Handel’s oratorio is more than a depiction of Christ’s life of suffering. The oratorio goes back to a time before the Redeemer’s appearance, it includes several prophecies and predictions, it tells of Christ’s birth, of his ordeal and his Ascension. Moreover, it includes the disciples’ spreading the word, the doubters’ rejection of the Christian message, their punishment and also the joy of the ones who are of true faith. Thus, for Neumeier, it is the suffering of all mankind, of all humanity that Handel considered his subject matter. Does a Big Name Deliver its Promise? At the end of his era as head of State Ballet Berlin, Vladimir Malakhov mounted two German premieres: Stanton Welch’s “Clear” and Alexei Ratmansky’s “Namouna – a Grand Divertissement”. Both works showed the company to be in good shape and its atmosphere confident. “Clear” was Welch’s reaction to the terror attack on the World Trade Center that took place September 11, 2001. It premiered with American Ballet Theatre the same year. However, a connection to 9/11 isn’t obvious at first glance. Seven men and one woman indulge themselves in energetic duos, trios and group numbers. Foremost, these dances radiate verve. They are lively, in accord with the music – Johann Sebastian Bach’s concertos (Concerto for Violin and Oboe in C-Minor and Concerto for Violin in G-Minor, excellently played by violinist Wolfram Brandl and oboist Fabian Schäfer).